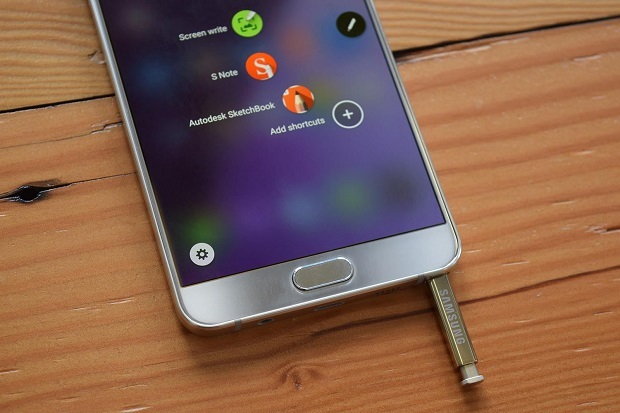 Welcome to another installment of our troubleshooting series where we aim to help our readers who own the #Samsung #Galaxy #Note5 fix the issues that they are experiencing with their phone. Although this particular model was first released in 2015 it is still the latest phone in the Note series owing to its successor, which is the Note 7, being pulled out of the market. A lot of people are using this particular phone as their daily driver without experiencing any problems. There are however instances when certain issue can occur which we will be addressing today. In this latest installment of our troubleshooting series we will tackle the Galaxy Note 5 screen is green after getting wet issue & other related problems. Solution: Because this phone does not have any waterproofing feature it is a must that it does not come into contact with water. Since you got your phone wet then what you will want to do is to make sure that it is dry. Placing the device in a bag of rice which you are doing is actually one of the best troubleshooting step that you can do. Leave the phone in rice for at least 48 hours. The rice will absorb the moisture inside the phone. Once this is done try to check if the screen is still green. If it is then the phone has suffered from water damage. The best thing that you can do right now is to bring the device to a service center and have it checked. Solution: If you have already performed a factory reset and the issue still persists then this could already be a hardware related problem most likely caused by the device being exposed to water. The best thing that you can do right now is to bring the phone to a service center and have it checked. Solution: Before your phone can get the official software update it must first meet several conditions which we have listed below. If you had this phone unlocked then it should be running on its original network in order for it to access the update servers. If your phone meets the conditions listed above and it is not getting updates then you should try to backup your phone data then do a factory reset. After the reset connect your phone to a computer with Smart Switch running then let the software update your phone. In case the phone does not update then you should consider manually flashing the updated firmware file using Odin. You can download the latest firmware file of your phone from the Sammobile website. This is also where you can get the instructions on how to flash your phone. Problem: Hello, i purchased an unlocked verizon phone and everything works ok but cant receive pics from people that send me a text. Can you tell me how to resolve. I seen the post but did not know the steps of what app to download. Thank you. Solution: Since this is an unlocked Verizon phone then it’s very likely that the APN settings are still set for the Verizon network. The APN setting of the phone is responsible for allowing you to send and receive picture messages. It is also responsible for allowing the phone access to the mobile data network. Change the APN settings of your phone to the one T-Mobile is using which we have listed below. Problem: My Samsung galaxy note 5 doesn’t allow me to use premium or short message codes. As in I send hi to the number 11111, ill receive bank info or whatever. I need this capability for my job, but I cannot use it and never have been able to. My husband and I got the same phones on the same day and his works just fine. We are using T-Mobile. Thanks! Solution: What you will want to do in this case is to make sure that the phone is allowed to send text messages to premium numbers. To do this go to Settings > Applications > Applications Manager > More (top right) > Show System Apps > Message Service (rather than Messages) > Tap ‘Send Premium SMS’ > Select Ask, or Always Allow. In case the issue still persists even with the correct setting then you should backup your phone data then do a factory reset. After the reset send a text message to a premium number. A pop-up will appear when you do this. Make sure to choose always allow or yes. Problem: Whenever I receive a text message my phone no longer gives any notification for it. It doesn’t vibrate, light up, or give me the quick text option on lock screen or unlocked. I have set and reset it multiple times in the sms settings. Nothing changed. Solution: The first thing that you will need to do in this case is to make sure that the notification setting of the message app is properly set. Open the messages app then tap on More ( on the upper right side with the three dots). Tap on Settings then tap on Notifications. Make sure that the Notification Switch is set to on. You also need to make sure that the notification volume is set to maximum and that the notification tone is the default tone of the phone. In case the problem still persists then you will need to backup your phone data then do a factory reset as this could be caused by a software glitch.